Hello, friends! I have a new card to share using Simon’s Splash of Color release. 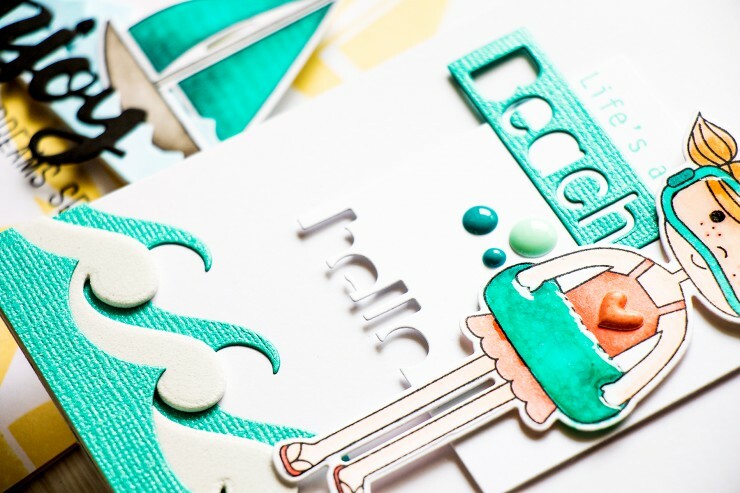 You can check my previous cards by clicking the following links: Let Your Dreams Set Sail & Hello Sunshine. 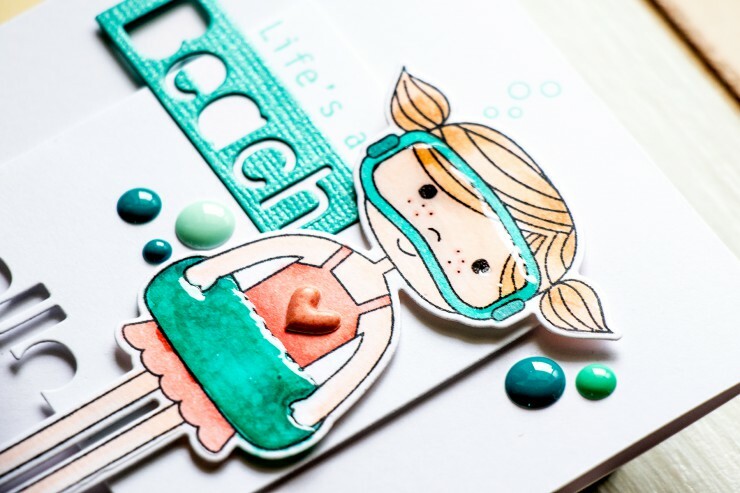 Today I have a card with an adorabe little girl in a swim suit! I used a little girl image from the Pool Play stamp set and stamped her using Memento Tuxedo Black ink and also die cut it using matching dies. I colored her using several colors of Copic markers, I also tried to add some texture to the rubber ring using my colorless blender and added a coat of glossy accents (and I also coated her mask). I still need lots of practice here! I foam mounted this little girl onto a Hello negative die cut (that was left from cutting the Hello Sunshine frame) and foam mounted than onto an A2 top folding card base. 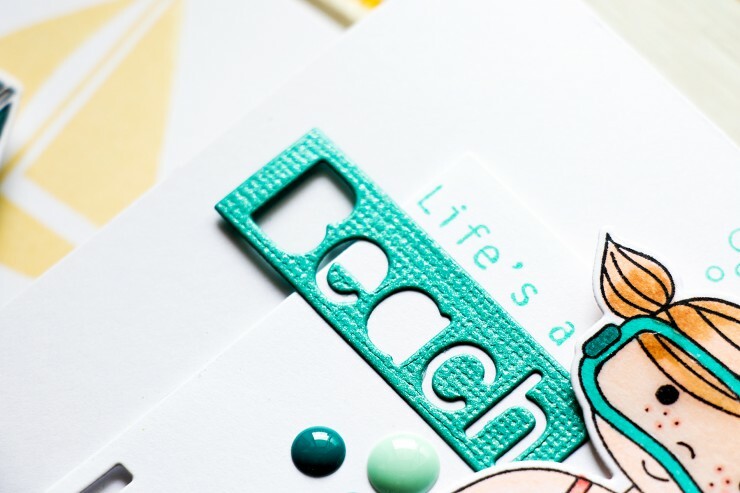 I decorated the base of this card with some waves created using Waves Border die and cardstock and fun foam. 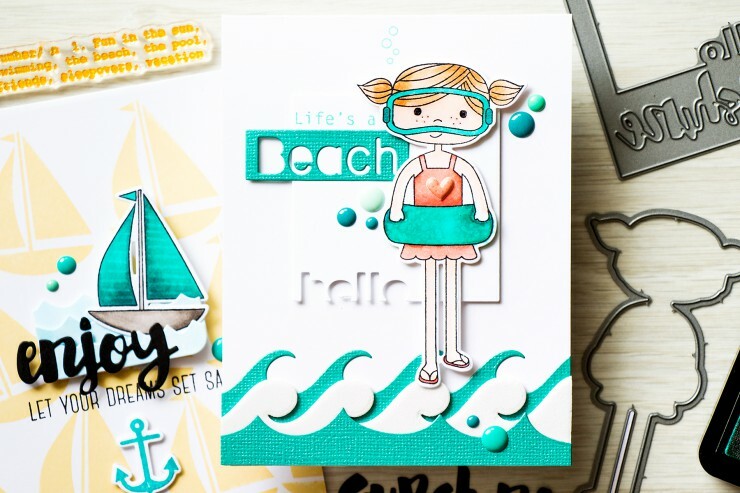 Finally I added a negative die cut Beach word and stamped Life’s a using Scuba ink color (it is my current favorite).